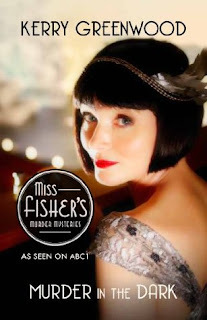 A few months ago, I was perusing my Netflix queue and happened to find a show called Miss Fisher's Murder Mysteries. It looked fun, so I decided to give it a try. 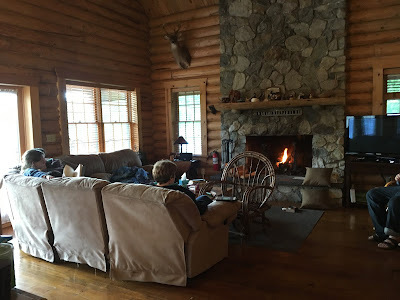 It became my favorite show to watch after the kids went to bed or when I tried to write a blog post during naptime. 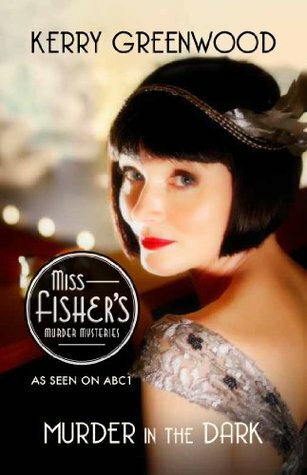 Miss Fisher's Murder Mysteries follows Phryne Fisher, who has come into a fortune later in life. She lives in Australia in the 1920s. Phryne is fabulous and she knows it. She ignores social convention by flaunting her lovers and even enjoying (!) her trysts. She drives her own car and is known to carry a gun (just in case). Our dear protagonist is hungry for knowledge and never content to leave a question unanswered. When local detective Jack Robinson finds her poking around his crime scene, he is initially irritated but soon discovers that Phryne is both charming and very good at solving mysteries. The two end up working together and the tension between the uninhibited Phryne and the very proper Jack is delightful. There is also a fantastic roster of supporting characters including Phryne's butler (aptly named Mr. Butler); her ladies' maid/assistant Dot; Hugh, who works with Jack at the police station; and Burt and Cec, who help Phryne gather information. In the television show, these characters get enough screen time that you are almost in love with them as you are with Phryne herself. After I finished watching the show, I stumbled upon the book series and decided to see what was source material and what was unique to the television show. 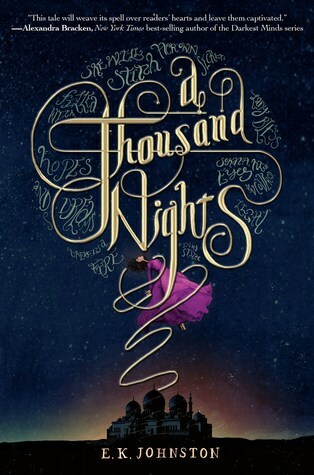 The books were published before the television show was created, but they were recently re-released with tie-in covers. I read Raisins and Almonds and Murder in the Dark, which are #9 and #16 in the series. I remember watching Raisins and Almonds on tv. Phryne is pulled into the dark corners of Jewish politics after a man is murdered in a bookstore and the owner is wrongly arrested. I don't remember watching Murder in the Dark, but it's certainly possible that the story was changed significantly or I've just forgotten one episode! In that story, Phryne is invited to a huge party at an estate. The host is threatened and people start to go missing. 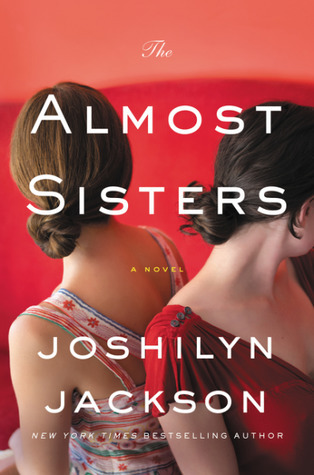 Both books gave me a good sense of Phryne herself, but I missed spending time with the secondary characters. 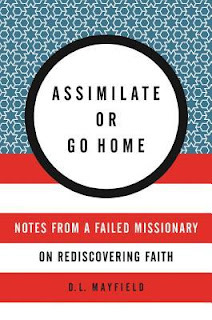 They were almost entirely absent in one book and appeared periodically in the other. It also seemed to me that being forced to condense a story to just one episode made it tighter, as opposed to a sprawling 250 pages where you can devote pages to Phryne thinking or spend a page describing the lunch they are eating. 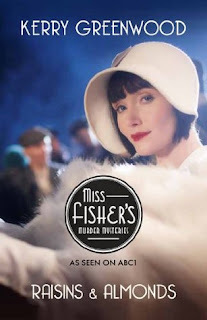 I will always be a big Phryne Fisher fan in whatever format I can find her. For someone new to the fabulous Phryne, the show or the books are a wonderful place to start. But I have to confess I think I will find myself re-watching the television show more often than I will be picking up another book. Hello friends! I'm writing this on Sunday evening, where I have managed to find a tiny pocket of peace and quiet. Maybe I'm just at peak introvert lately, but I feel like my beloved children have reached new and deafening levels of noise. Summer break should be great? This week, I read and adored Marilynne Robinson's Home. 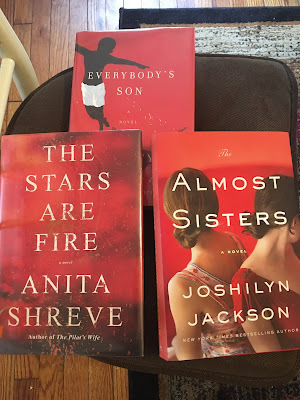 I read Gilead a while ago and I am very much looking forward to reading Lila, the third book with those characters. I also read Ramona Blue, which is the newest book from Julie Murphy (of Dumplin' fame). Next up for me is The Almost Sisters by Joshilyn Jackson. Olivia Morten seems to have a perfect life, but it is actually a carefully crafted facade. Olivia can spin anything, in her career as a publicist or in her personal life. When her crush from high school comes back into her life, her constructed life starts to fall apart. Olivia realizes that her friends are vapid, her husband is not invested in their marriage, and her beautiful, successful life is not making her happy. She finds herself reflecting on the girl she was in high school--she was fat and unpopular, but she knew who she was. Can she find that girl again? I am a new Liza Palmer reader. 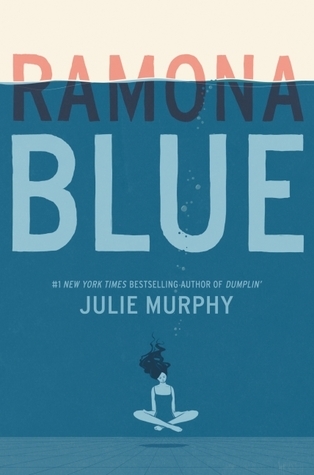 I happened to read her book Girl Before a Mirror last year and really enjoyed it. 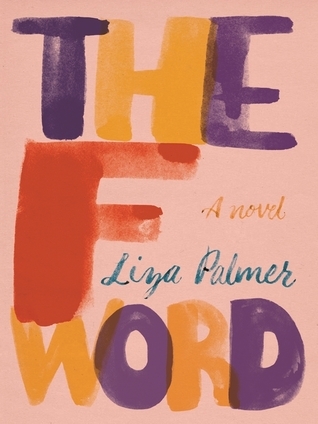 But The F Word didn't work for me quite as well. Olivia is apparently a character in another of Palmer's books, which I haven't read. She might make more sense as a character if you have the whole picture. 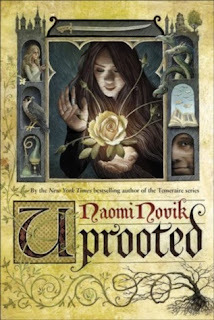 But within this book, Olivia is a tough character to follow. She has built up such a wall that it's difficult to get to know her. Maybe Olivia herself doesn't even know, and that's really apparent in her relationships with her husband Adam and Ben, the boy from high school. She has ignored Adam's infidelity for years and when things finally explode, she decides that she's done with that relationship. Instead, she focuses on Ben, who was cruel to her in high school. I wish we had more insight into Olivia and Ben in high school and their relationship then. It would have made their interactions in the present more significant. 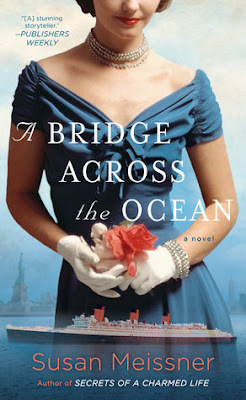 While this story wasn't my favorite, I can certainly see myself giving another Liza Palmer novel a try. Lilli has big hopes for the future. Her brother and her fiance have gone to find good jobs and have promised to send for her when they are settled. 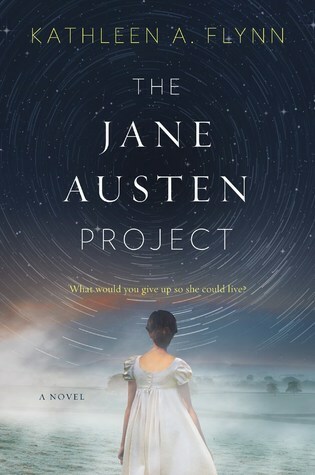 But her life quickly takes a turn when she discovers she is pregnant. 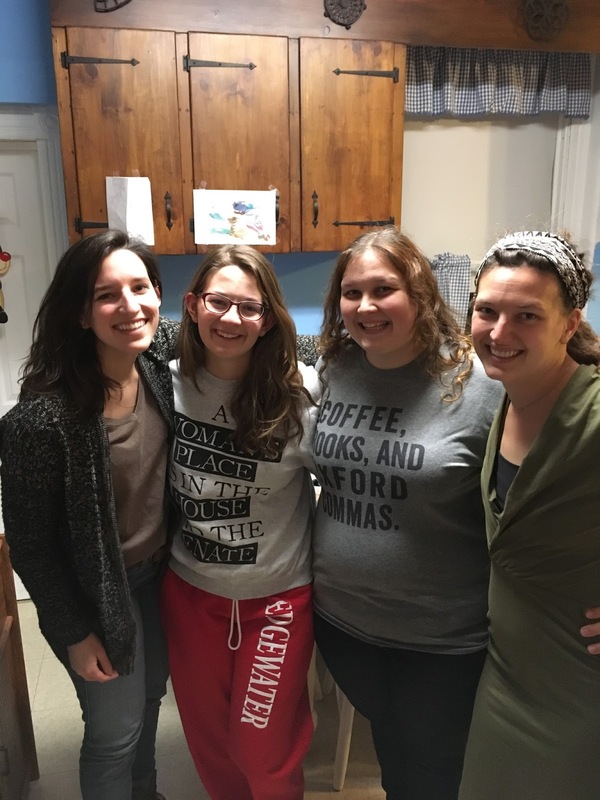 There is no way her father and new stepmother or Quaker community will support her, so Lilli finds sanctuary at the Philadelphia Haven for Women and Infants. 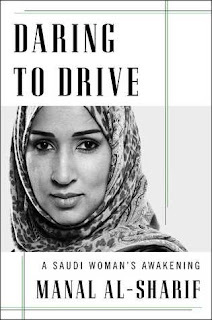 After her daughter is born, she is expected to give her up and go back to her life. But Lilli quickly learns that she cannot part with her baby and decides to do whatever it takes to keep her child safe. 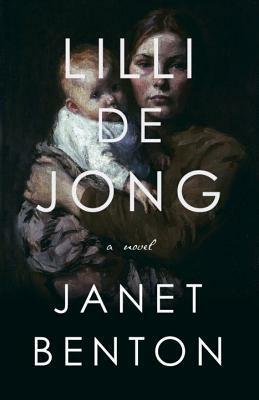 Lilli de Jong is told as a series of diary entries as Lilli details the love she shares with Johan, her hopes for the future, and her quick descent from an honorable woman to someone with no place to call home. 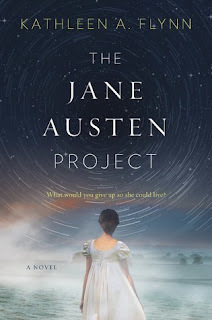 In some ways, this book reminded me of Pamela, where we see seemingly the whole world act cruelly towards one young woman. But Benton does a wonderful job of showing just how impossible it was to be a single mother in the 19th century. It's sobering to think about how things have changed and how they still haven't; if you are a parent and have no one to care for your child, how can you work? If you can't work, how can you provide for a child? Through it all, Lilli remains steadfast and determined to keep the child she loves. Hello again! How is everyone doing? It's been a busy and productive week around the literary house. I've been checking lots of things off of my to-do list, which is a lovely feeling. The weekend was busy, but good. We had a picnic after church (I made a pie) and then we relaxed at home. We finished Sunday night in the best way possible, by watching the Tony Awards of course! 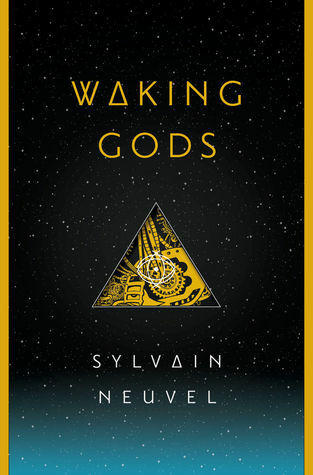 This week I read Waking Gods, which is the sequel to Sleeping Giants. 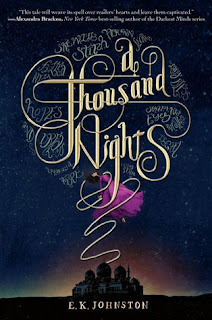 I enjoyed it just as much as the first book and am now impatiently waiting for the last book in the trilogy to come out. I also read Assimilate or Go Home by D.L. Mayfield and Midnight at the Bright Ideas Bookstore by Matthew Sullivan. 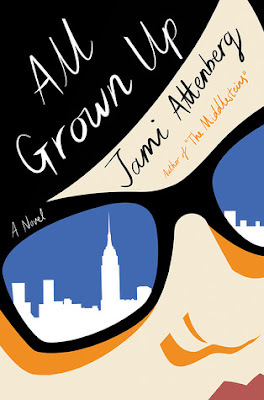 On the blog this week, I wrote a review of A Bridge Across the Ocean and I wrote a post about Jami Attenberg's new book All Grown Up and how the protagonist is being held up as the long-awaited single female protagonist. 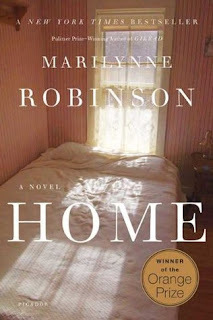 Now I'm reading Marilynne Robinson's Home. Hi everyone! 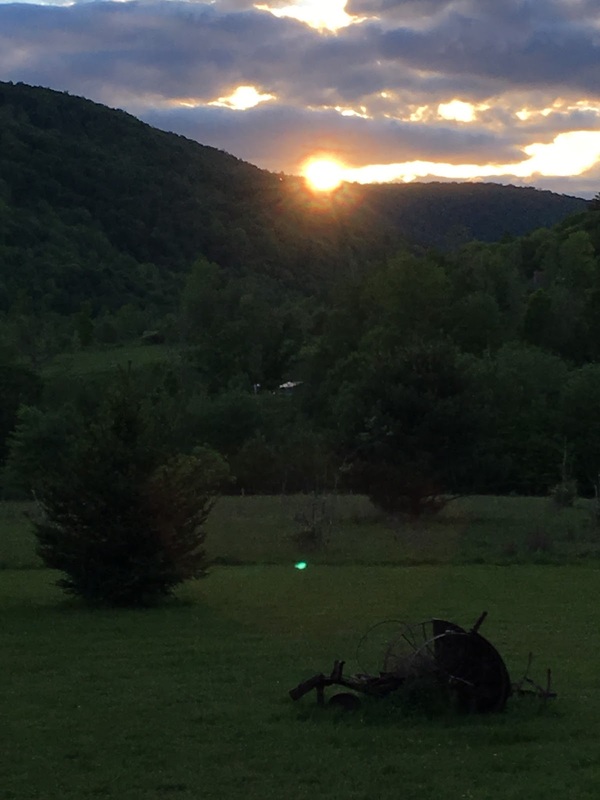 So I kind of fell off of the face of the earth this week, but there was a very good reason. My mom celebrated a big birthday this year. The actual day of her birthday was pretty quiet, but we really made up for it! On Thursday, she left for what she thought was a weekend away with my dad. 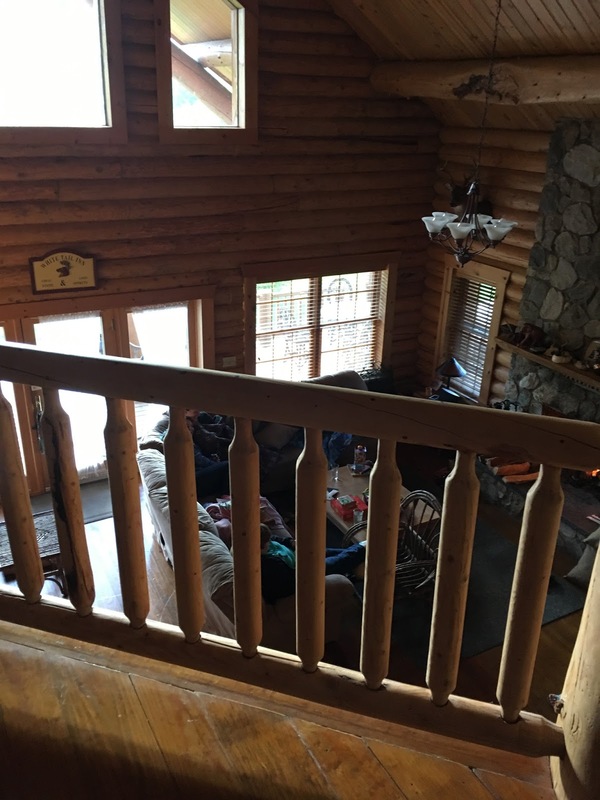 Instead, she got a weekend away at this fantastic log cabin in the Catskills with her husband, all of her children (including the one who lives on the West Coast), one son-in-law, two boyfriends of said children, and two grandchildren. It was a really wonderful few days, but it took quite a bit of planning to make it all happen and keep it a surprise until my parents arrived at the cabin! 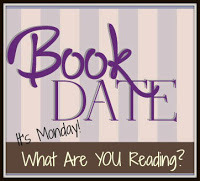 I am hoping to get some reviews written this week but, until then, let's talk books. I finished reading The Dirt Cure and find myself incensed at the lack of food regulation in this country and how corrupt it can be. I'm also pondering some ways to make sure that my children are eating better food. During our trip, I read another Phryne Fisher mystery and now I am racing through Waking Gods (Themis Files #2) before I need to take it back to the library.